2. Perfect Secret Santa gift or Novelty Christmas present. 3. 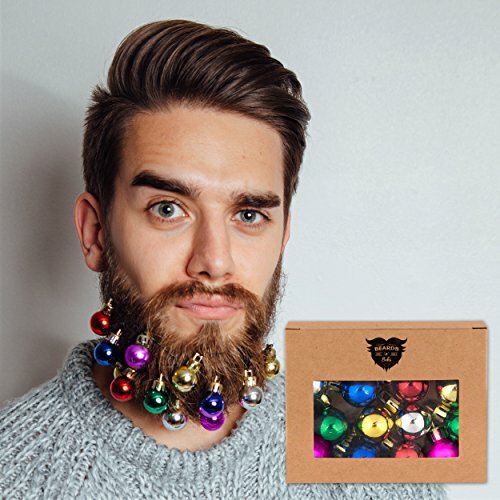 Includes: 20pcs Beards bells and grips to secure to the beard. COUPONS – Click the coupons and order now! 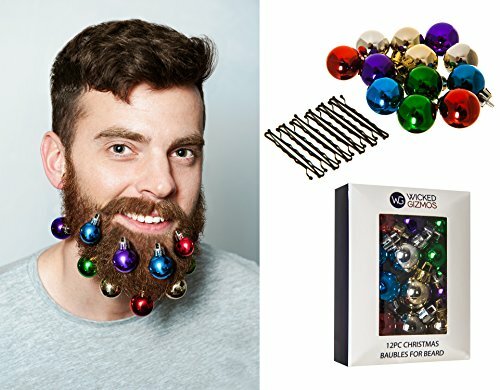 Perfect gifts for beard use, especially for your boyfriends, father, grandpa. Many different uses – beards, afro, goatee, mutton chops, hair (women or men), and more. 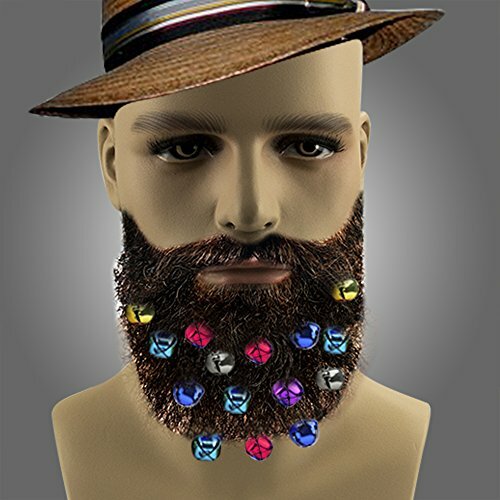 Can easily clip onto any hair or Beard hats, not just beards! 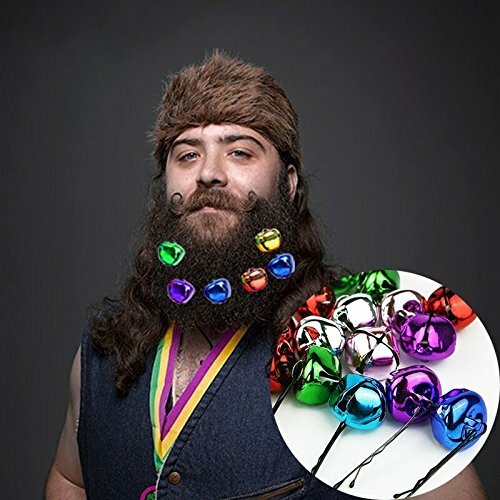 Includes an assortment of 12 shiny baubles and mini beard grips to secure to the beard (see listing picture). Colours will be a mix of Gold, Red, Green, Pink, Blue and Silver. 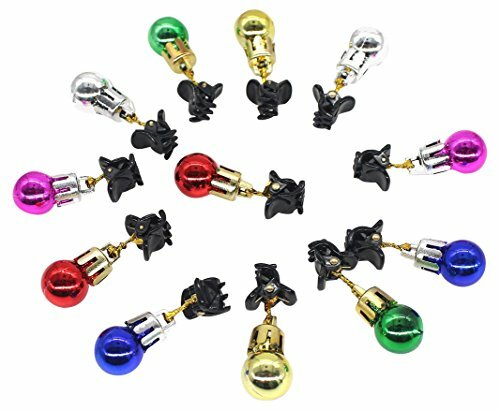 The baubles measure 20mm diameter. 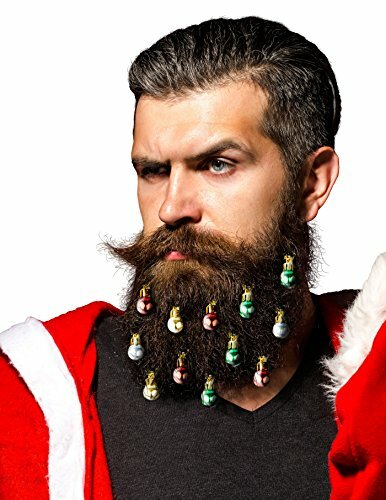 Please note: These are for beards and will not affix to stubble. 2.Perfect Secret Santa gift or Novelty Christmas present. 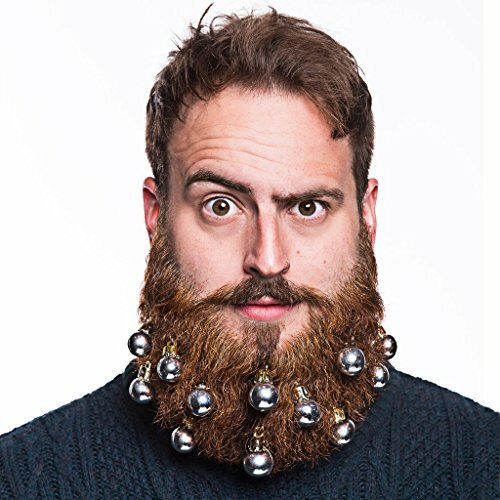 20pcs bells and grips to secure to the beard.